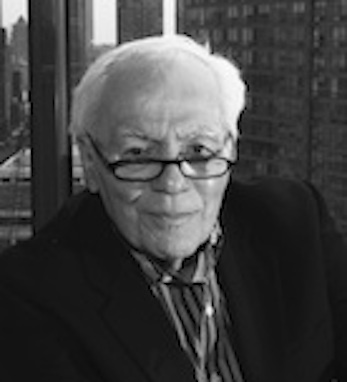 Legendary New York journalist Jimmy Breslin celebrated his 80th birthday in Octobe 2010. In March 2011, he published a new book (he has written more than a dozen), Branch Rickey, about the Queens native who worked for the Brooklyn Dodgers and brought Jackie Robinson into major league baseball in 1947 – a move Breslin calls “an assault on ignorance.” Despite his key role in changing the face of American baseball, Branch Rickey is relatively unknown. It is classic Breslin to bring this forgotten man into contemporary consciousness. As a reporter, Breslin is famous for focusing on the common man, on the underdog and, consequently, for getting to the heart of the matter. In one of his most memorable columns, printed the day after John F. Kennedy’s funeral, Breslin juxtaposed the experience of Jacqueline Kennedy with that of Clifton Pollard, the man who dug J.F.K’s grave. Raised in Ozone Park, Queens, Breslin has said that his father went out for a pack of cigarettes one night when Jimmy was only six, and never came back. Many say Breslin’s passion for the underdog is rooted in his mother’s early struggles. Breslin received the George Polk Award for metropolitan reporting in 1985, and won a Pulitzer Prize in 1986, when he was with The Daily News. He has authored many books, including I Want to Thank My Brain for Remembering Me, an account of his dramatic brain surgery, and The Short, Sweet Dream of Eduardo Guttierez, which examines the politics of illegal immigrants in New York City via the tragic death of Guttierez, who fell to his death while working on a construction site in Brooklyn. His novels include Table Money, a look at life among Irish union men, and World Without End, Amen, which chronicled the civil rights movements in America and Northern Ireland.